WANT TO LIVE? DON'T GO NEAR THE WATER. A massive earthquake struck the center of Lake Superior altering its freshwater state to that of an ocean triggering an ecological disaster unlike any in recorded history. 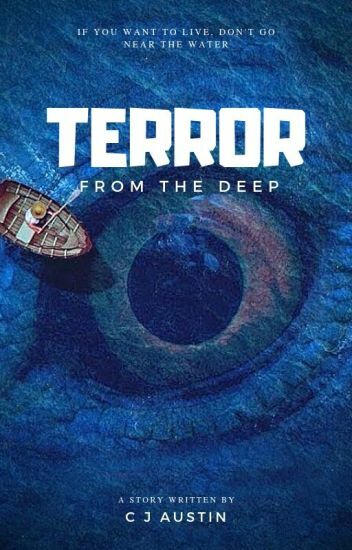 Freelance journalists Bec Trustle and Greta Armodt were sent to the Lake to investigate the story behind the rapidly-growing catastrophe only to be met by a horrific tragedy which left Bec as the only survivor. Instead of retreating back home, she stayed near the Lake to work closely with the scientific community to uncover what was transforming Lake Superior in to a salty sea. When one of the submersibles mysteriously disappeared on a routine run, mounting evidence of an ancient menace spurred them to abandon the underwater science lab. As the death tolls quickly rose around and across the Lake, Bec and scientists considered ways on how to deal with the "black devil." Unfortunately, all options required them to return to Poseidon, the abandoned underwater laboratory. Here are the opening two chapters to sixth volume in the Cadicle series. I recommend reading this only if you have read the previous five volumes in their entirety. This book picks after the end of Volume 5, Crossroads of Fate. The complete book is now for sale on Amazon. Yaaargh me hearties! This here be PiratePunk an' the crew of the good ship @Ooorah be a terrorising the high seas with more booty than ye can shake ye're rum at! Short stories, articles and poems abound! Entries for 'SmackDown: The Second Coming' and 'SmackDown: Back to our Roots' hosted by ooorah! Roughly a collection of prompt driven science fiction short stories. Parker Raymond is a completely normal man, but with one difference. He can travel through space time and reach other dimensions... The only problem is, he wanders aimlessly with the device that allows him to travel, unable to determine what will happen on each of the many worlds he travels to. This time, he lands in a large city that lacks human civilization. What is different about this dimension? What is the reason for Parker's loneliness in this world? Thank you to @CAMalosh for making my cover art! It looks really great! #TeamOoorah and the rest of the Tevun-Krus crew return with the first issue of 2K17. It's NanoPunk, and it's badass. Hidden in another dimension Obioran is filled with mysteries and secrets. Emma Wright has been pulled into this strange place and must find a way to survive. "You know, legend has it, the Fair-folk will steal your soul. Draining each bit until you are but a shell of the person you once were." Will Emma last long enough to make it back to her home dimension or will she be trapped on Obioran forever? Third place winner of The Talent Awards, cover created by The Talent awards. Only a week has past, but Dylan and Levi are no closer to solving their differences, even with the impeding vote on both a new captain and new constitution, one with potentially life altering consequences. A group of friends on a cruise to Alaska find themselves transported in time. Their vacation has taken on a completely new dimension that they are helpless to change. Or so they think. Earth. Light years away, and yet now that some on the base were born there, it seems so...close. As communication with the mother planet seems more and more likely, Dylan and Alcott have to wonder if Earth really has anything to offer to their world. Is Earth and its customs obsolete or will those traditions save the their society from crumbling apart? More importantly, does Dashiell Turner have his new world's interests at heart? Forget what you knew so far about werewolves. Forget what you knew so far about gypsies. Forget what you knew so far about assassins. In a world, not so different from ours, lives a pack of Loups Garous; superior creatures that can change and take the shape of wolves whenever they choose. The only enemy they have are the Silvers; a family of assassins, whose only goal is to kill them all. When one hunting ends up badly, Andrew and his sisters will have to find the girl who tried to kill him. In order to find her, they'll need the help of a Romani tribe, who owes a debt to the Loups Garous. What could possibly go wrong? They have magic and supernatural powers, while the Silvers have only... silver. Or not? What could happen if the blood of the Loups Garous and the silver were mixed up together? Is everything exactly what it seems or there's a secret hidden deep between those two families? A supernatural story, with a touch of everyday, regular problems, and an essence of old, yet gold, culture. © Victoria Moschou. All Rights Reserved 2016-2017.